Apparently, in Nanjing, they're taking the simple approach to making an environmental impact. Trees. Add lots and lots of trees to a building. We’ve talked about buildings cleaning the air in the past. In fact, we’d go so far as to say that the majority of new technological innovations place part of their design focus on being environmentally friendly. Apart from Samsung batteries of course. People have invented metals, composters, recycling bins and all sorts of new and shiny gadgets to make a positive impact on the environment. However, there is one group out there considering something a bit more straightforward. 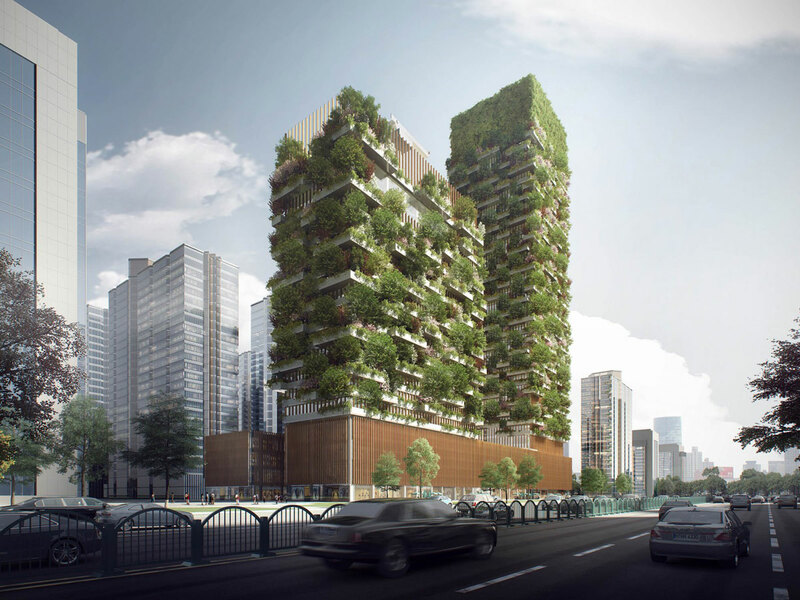 They’re called vertical forest, and yes, someone finally got the idea to put lots and lots of trees on a building. It will be going up in the Chinese City of Nanjing with construction expected to start in 2018. For reference, Nanjing’s smog index of 68 on a good day and it is known to go as high as 170 on a bad one. So, to say the least, the building will have lots of work to do. There will be two towers, known as the Nanjing towers. The first building will be a 656-foot tall office block and contain a museum and a green architectural school. The second will be a 354 foot tall Hyatt hotel with a rooftop pool. These will both sit on a 66-foot tall podium which will contain shops, food market, and restaurants, conference hall and exhibition spaces in addition to other commercial and recreation functions. 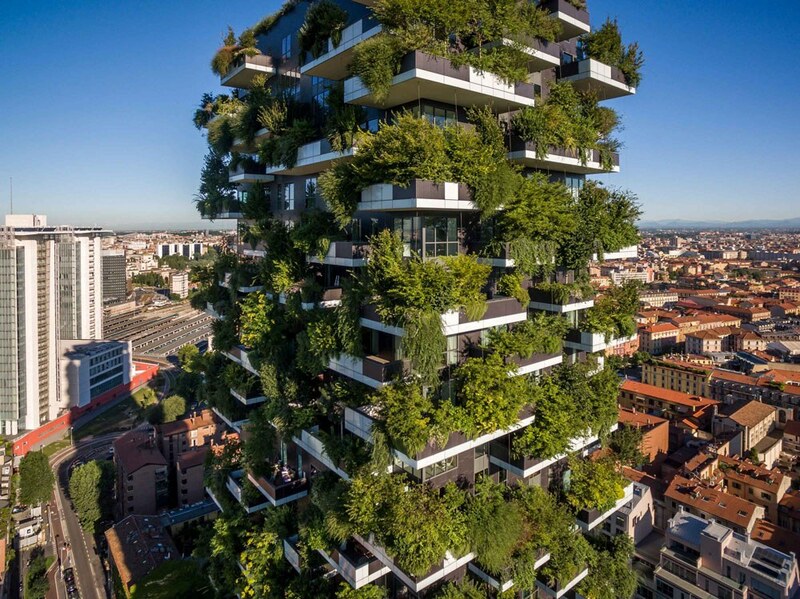 Stefano Boeri, an architect from Milan, designed the buildings and designed the first of these vertical forests, called the Bosco Verticale, in his hometown in 2014 as sustainable housing and has already won several awards for the project. The second is currently under construction in Lausanne, Switzerland. When the Nanjing Towers are completed, they will contain over 1,000 trees and 2,500 smaller shrubs and plants. Each will be carefully selected to optimize not only oxygen production but also to help clean the air of dust while at its height with the expected exposure to the sun. None of Boeri’s designs exceed what is conventionally available now in building design, regarding irrigation, construction, and whatnot. This simplicity may be why we see such international adoption with Boeri’s design. The question is will this design endure or is it simply an easy answer before newer environmental solutions take hold? I really like this idea and on top of it, the overall design does not look that bad! There is a lot of talk about eating up that smog. I would like to see a trial being done and the numbers to follow it up. Why spend all of this money, thinking like an investor here, if I cannot even see the ACTUAL numbers. I realize the calculations are there, but run a real test, show me where to put my money! I am with you! I want to see a real life situation and some numbers. This could be huge, or it could not be.